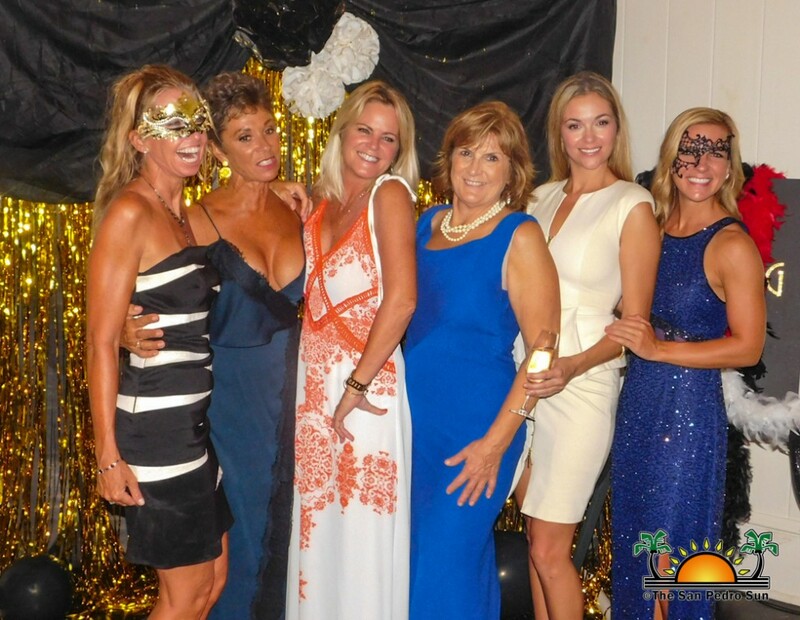 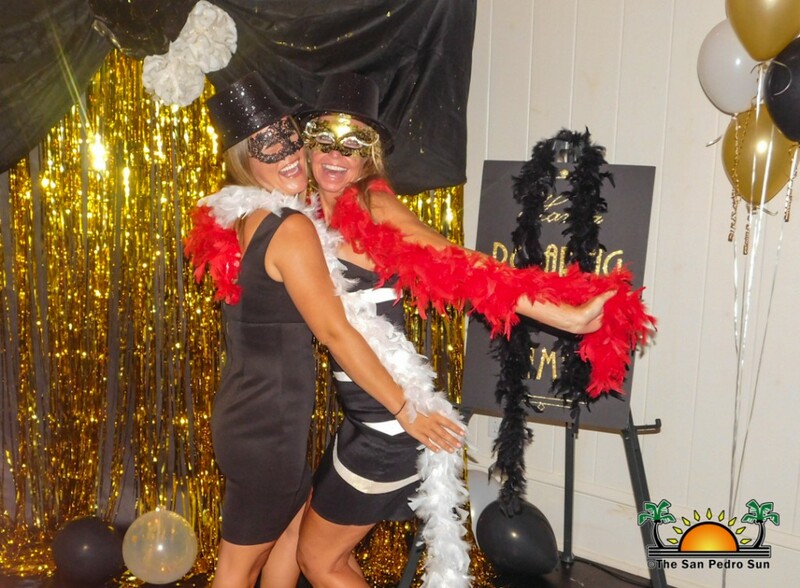 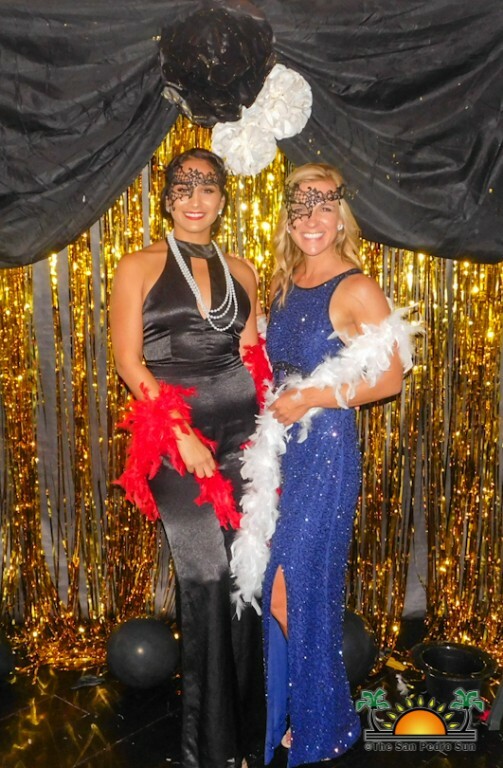 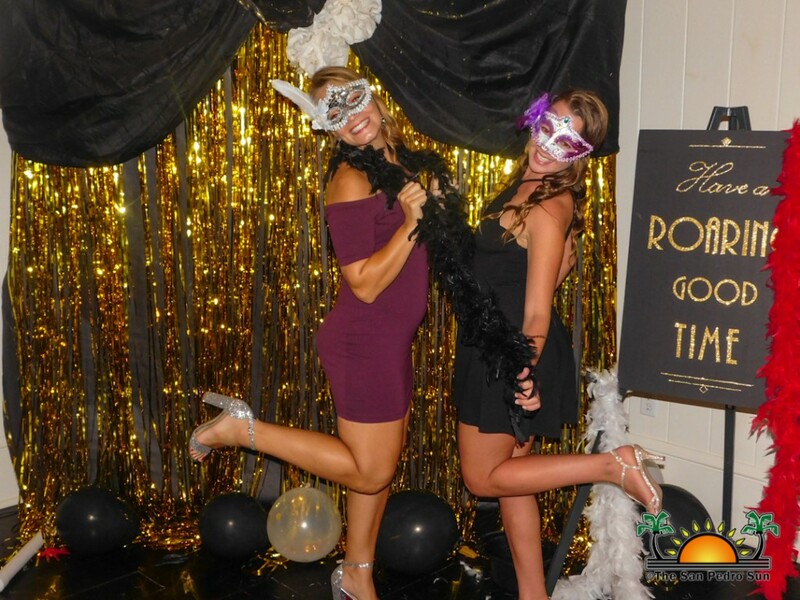 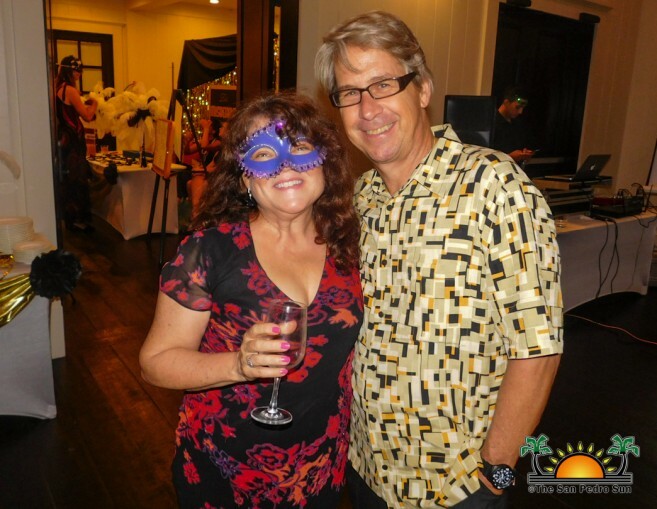 Home » Community and Society » 2nd Annual Raise Me Up Masquerade Party a success! 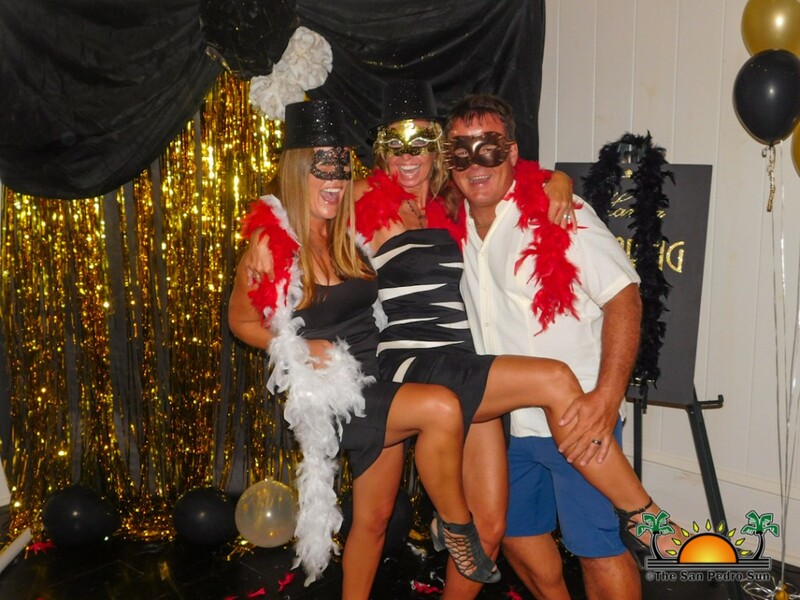 Island residents brought the glam at Raise Me Up 2nd Annual Masquerade Party, held at Mahogany Bay Resort and Beach Club south of San Pedro Town on Saturday, May 19th. 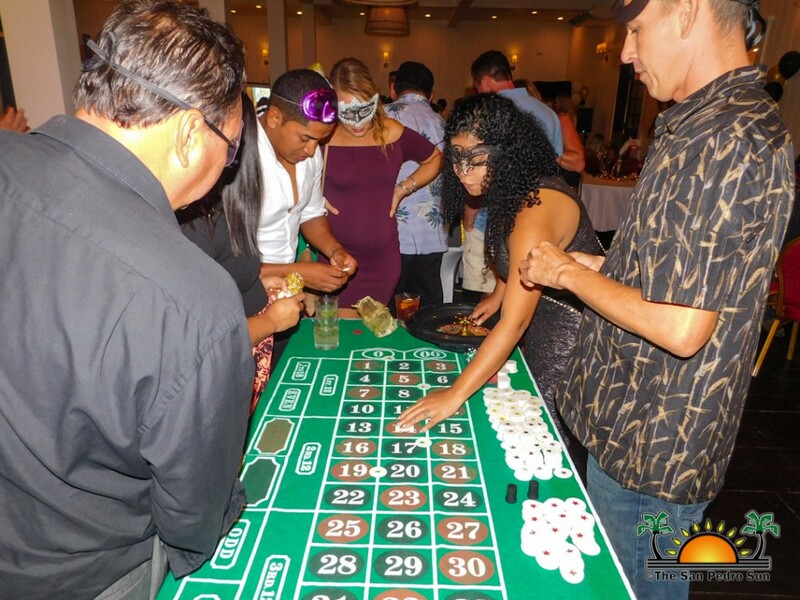 For a $90 admission fee, attendees got to enjoy a variety of entertainment, casino games, prizes, delicious food, drinks and fun live auction. 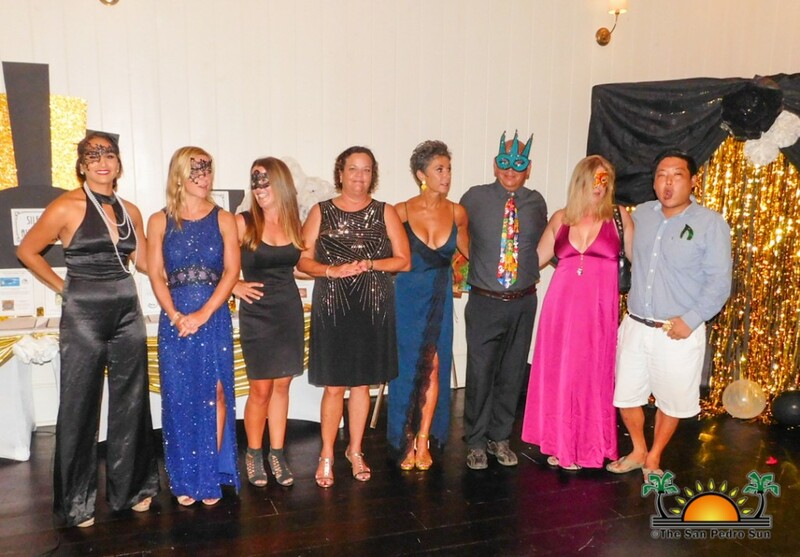 Promptly at 6PM elegantly dressed and masked guests began arriving at the venue. 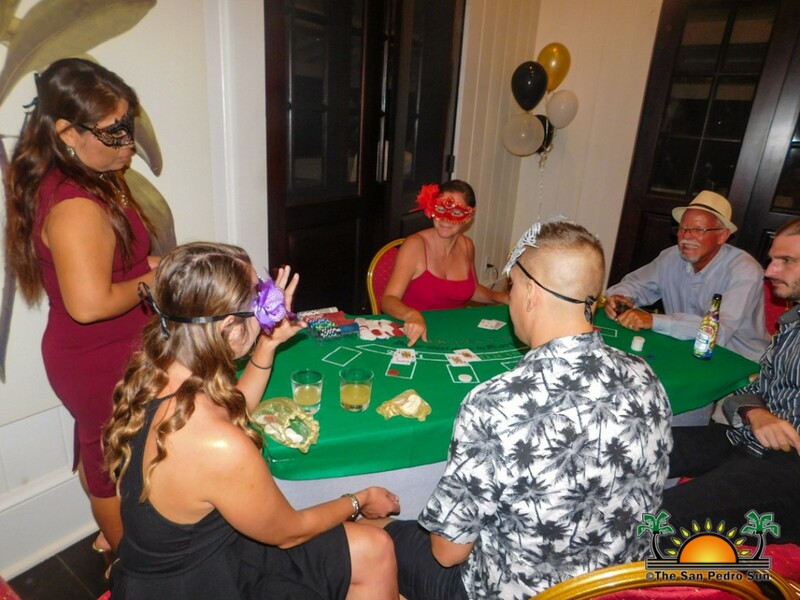 Ushers escorted them to their choice of table or the casino area while plying them with delicious appetizers. 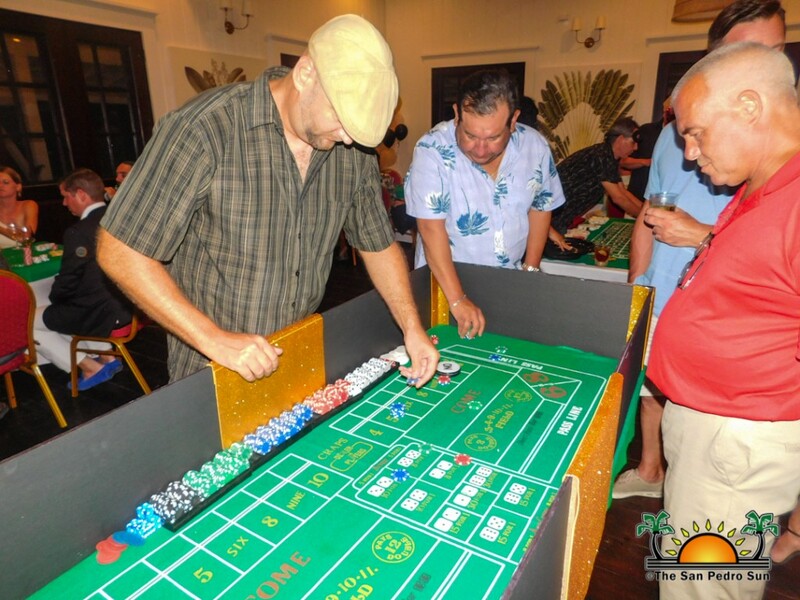 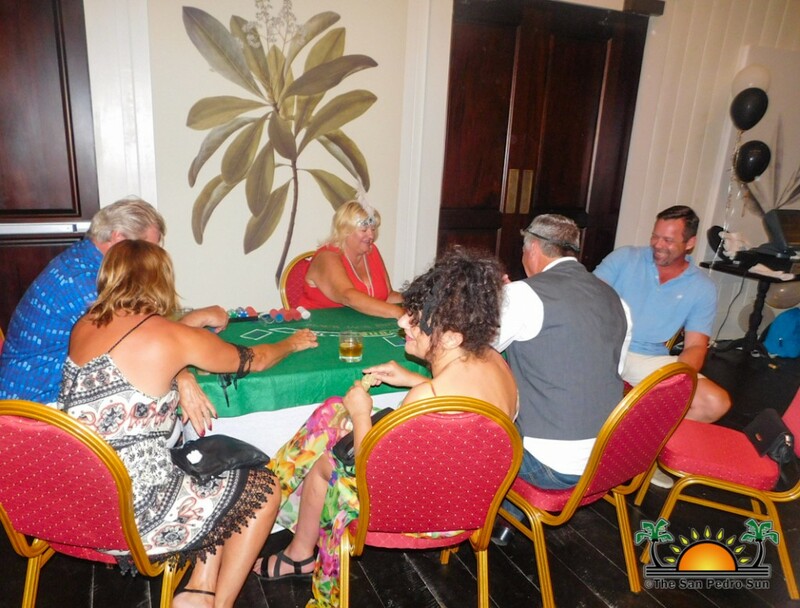 The casino area featured a variety of fun games, including Poker, Roulette, and Blackjack. 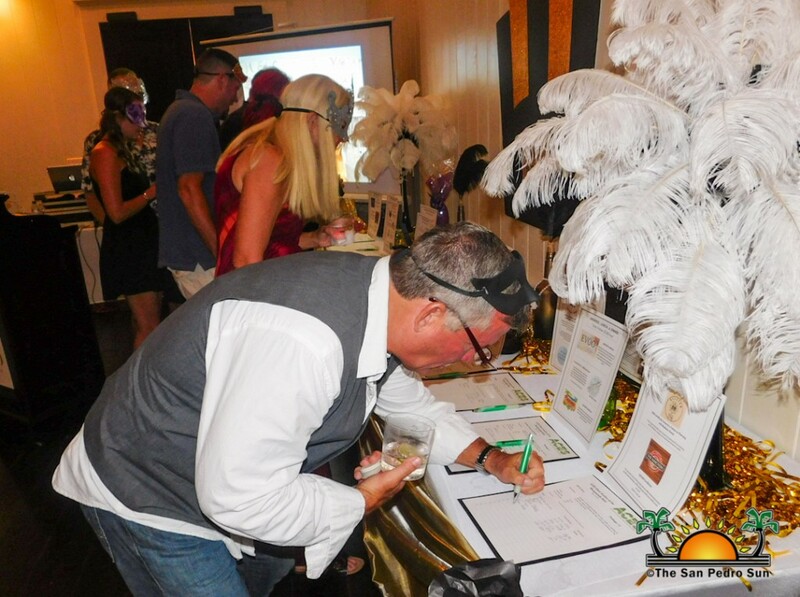 A cash bar kept the drinks flowing. 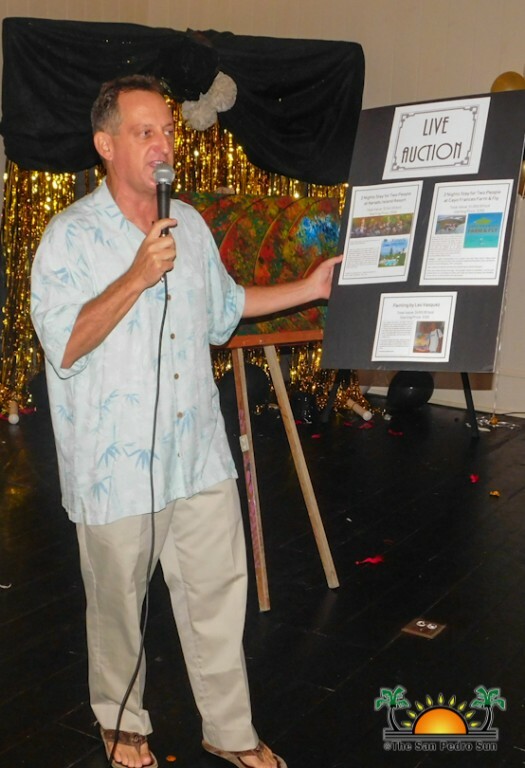 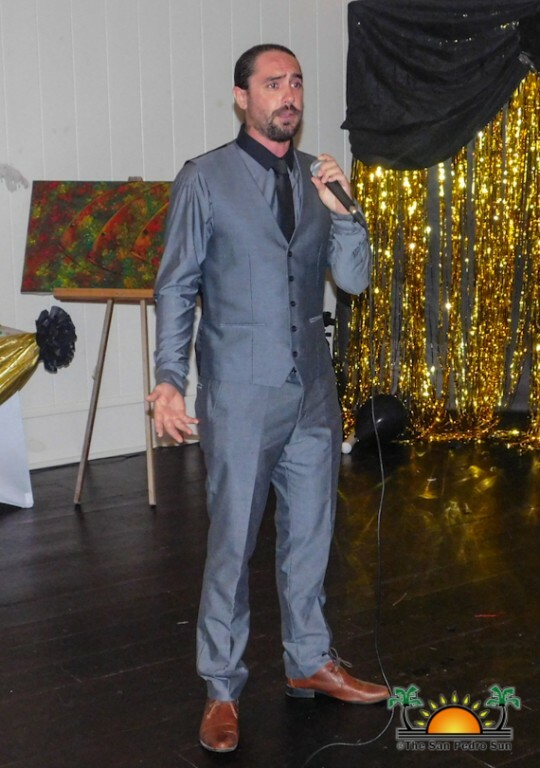 Chris Summers from American Crocodile Education Sanctuary (ACES) then shared a few words, thanking everyone for supporting the fundraiser and asking them to continue to enjoy the night. 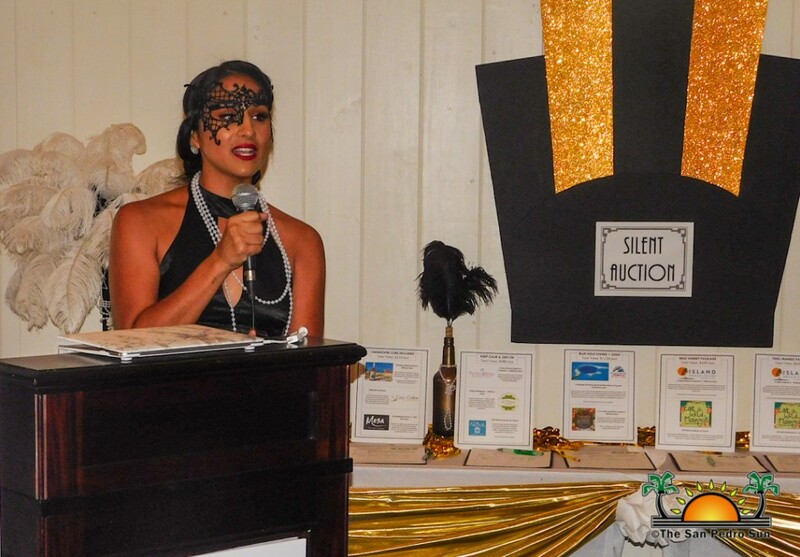 Brittney O’Daniel from Hope Haven and Raise Me Up also thanked everyone that contributed in one way or another to the success of the event and looks forward to hosting it next year. 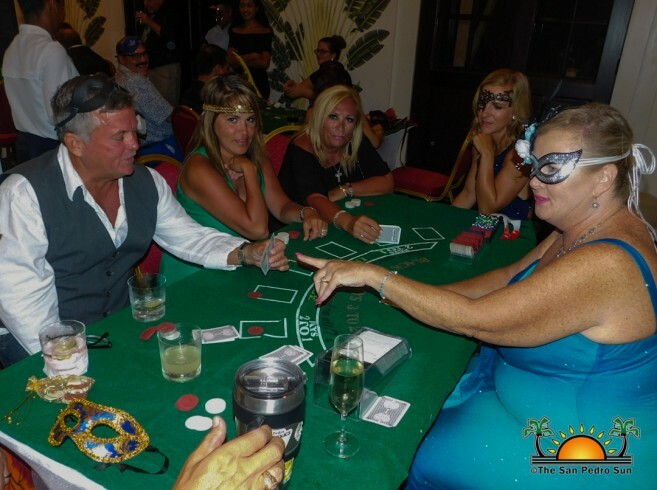 The 2nd Annual Masquerade Party benefited Hope Haven, The SHINE Center, Raise Me Up, The Literacy Program, San Pedro Kids Club, Colleen’s Kitchen at San Pedro Food Bank and ACES. 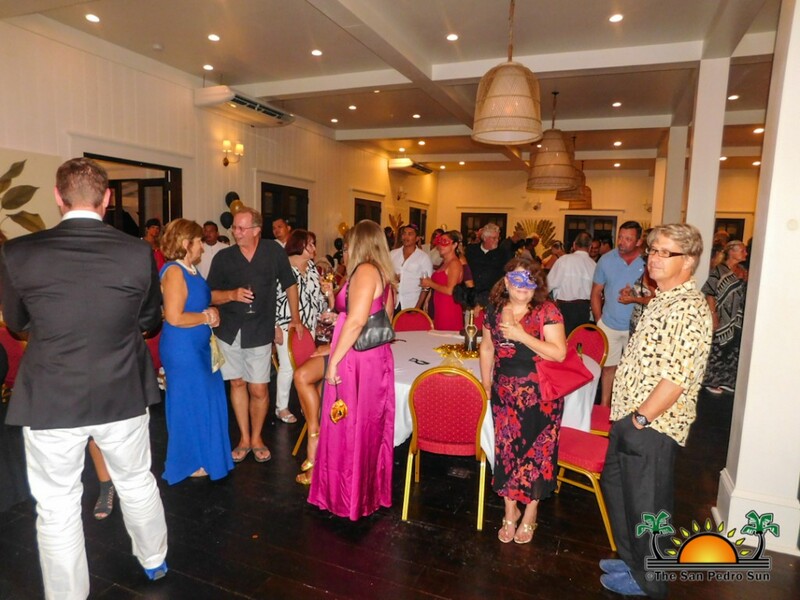 Organizers thank businesses who donated prizes and sponsored the event, including Banyan Bay, Cayo Espanto, Red Ginger, The Added Touch, Aji Tapa Bar & Grill, Blue Water Grill, The Truck Stop, Palapa Bar, Marbucks, Blue Tang, Casa Picasso, The Palms, Candle Garden, The Coffee Bar, Flight Café, Erica Baker Photography, Lone Star, Victoria House, Sandbar and Crossfit Wolf. 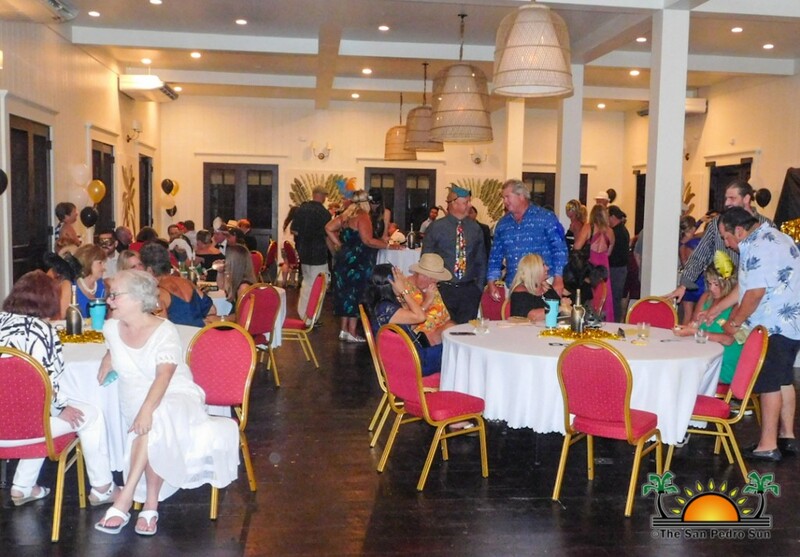 DJ Shamo Halliday provided the music, Mahogany Bay Village hosted and provided the food, Laura Taylor, and Shirley Butternick organized the event and Banyan Bay made monetary contributions. 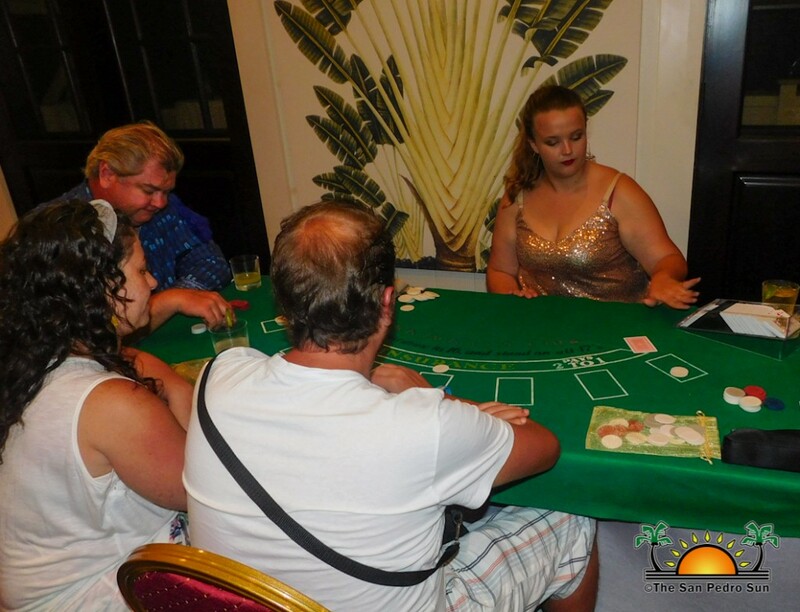 A big thank you to the volunteers who helped in setting up the event. 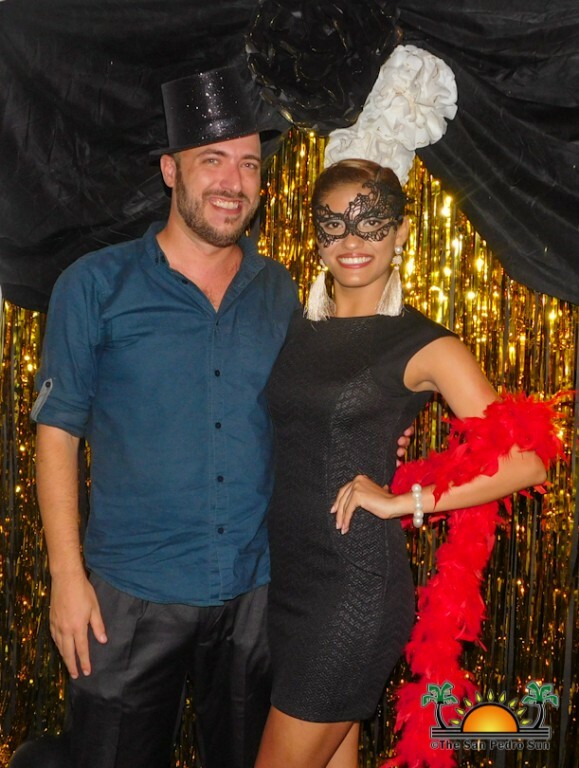 See you at the next year’s party!